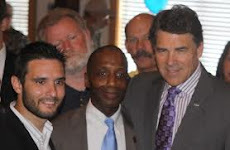 I am tired of hearing the liberal media try to say that Hardin County Conservative Peter Morrison was "anti-semitic" because of his opposition to Straus. It is funny how the liberal media, and the moderates and democrats who supported Straus, all try to deflect debating the actual issues by making absurd claims of anti-semitism. Give me a break. Peter Morrison did not even mention that Straus was a Jew. Peter rightly pointed out that Straus's spiritual leader and mentor was for abortion and on the planned parenthood board. That has nothing to do with religion and has everything to do with whether or not Joe Straus is for killing babies. Take the fact that his mentor is for killing babies and add that to Straus's own words that he is fine with abortion laws and that he believes abortion is just a "wedge issue" and well, you get the idea, he does not care about the babies that are getting killed in the modern day genocide called abortion. It had nothing to do with religion and everything to do with abortion. But I guess if you were backed up against the wall and did not want to debate the facts then you might throw out an absurd claim of anti-semitism to distract people too.